My post describing the issues that can arise when you enable an Exchange 2010 mailbox to have an archive is one of the most actively discussed on this blog. I think that this points to a certain lack of familiarity that still exists around archive mailboxes. People haven’t quite figured out how best to deploy and manage these repositories or whether they provide a better solution for long-term data retention than the third-party products available for Exchange 2010 and earlier versions. View associated retention policies and tags that control how items are automatically moved from the primary mailbox into the archive mailbox. Outlook 2007 only satisfies the top two items. In other words, while you can use the latest version of Outlook 2007 SP2 patched with the February 2011 cumulative update to open and work with archive mailboxes, you won’t be able to see any detail of the retention policy that applies to a mailbox or the retention tags that are specified for the policy. This is acceptable if you take the stance that you don’t really want to bother users with details. The problem arises when users suddenly discover that items “disappear” from their primary mailbox and turn up in the same folders in the archive mailbox. Ah well, the help desk will cope. Apart from retention policies, another difference between Outlook 2010 and Outlook 2007 is that Outlook 2010 is able to display the archive mailboxes for multiple users, so it can handle the situation where a user has delegate access to other mailboxes and those mailboxes are archive-enabled. Outlook 2007 is restricted to just displaying the archive mailbox linked to the primary mailbox and cannot open those associated with delegates. Not all versions of Outlook 2010 or Outlook 2007 can connect to an archive mailbox, even if fully patched. For example, if you purchase and use the version of Outlook that comes with the Student or Home packages, perhaps to use with a home computer, you won’t be able to access your archive mailbox. This is because Microsoft has restricted archive access to specific professional versions of Outlook, those that are typically used by enterprises and licensed through Volume Licensing Agreements (VLCs). However, “stand-alone” is a curiously imprecise term. What’s for sure is that you shouldn’t expect to access an archive mailbox if you have the versions of Outlook 2010 included in Microsoft Office Home and Business 2010 or Professional 2010. These versions connect to Exchange 2010 and will open the primary mailbox but will splendidly ignore the archive mailbox. My experience is that Outlook 2010 Professional Plus is the most reliable version when archives are concerned. I guess it’s the Plus that makes all the difference. 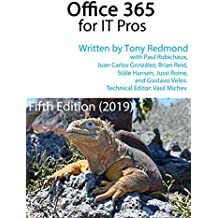 The unfortunate thing in all of this is that users of Office 365 Plan P1 who are the proud possessors of a version of Outlook 2010 might find that it’s not quite enough. To keep costs down, doesn’t include Outlook 2010 as it relies on OWA as its basic client. However, Plan P1 does include a 25GB archive mailbox that you won’t be able to use unless you have the right version of Outlook. Office 365 Plans E1 and E2 don’t include Office 2010 either, but Plans E3 and E4 do include Office 2010 Professional, so you get the right version of Outlook 2010 to access an archive mailbox (in the U.S., the step-up from Plan E2 to E3 is from $16 to $24). Outlook 2003 is plumb out of luck when it comes to archive mailboxes. You can certainly connect Outlook 2003 to an Exchange 2010 mailbox server and Microsoft is continuing (under customer pressure) to do the work to make it easier to connect Outlook 2003 to Exchange 2010. However, that work doesn’t incorporate any attempt to expose archive mailboxes, probably because of a mixture of a) it’s a lot of work to do and b) why would Microsoft pour this effort into a client that they think is long past its best days. So if you connect Outlook 2003 to an Exchange 2010 mailbox that is archive-enabled, you won’t see the archive and won’t be aware of its presence. And unless you’re told about the processing that the Mailbox Folder Assistant (MFA) does to action retention policies, you won’t know what happens when items are moved into the archive mailbox when their retention period expires. This isn’t a good situation and it’s one of the reasons why you should move off Outlook 2003 if you have any plans in the short- or long-term to deploy archive mailboxes. Outlook 2011 for Mac is also out of luck when it comes to archive mailboxes. I have a sneaking suspicion that this might be because Outlook 2011 is based on Exchange Web Services (EWS) rather than MAPI and while Microsoft has given strong guidance to developers that EWS is the preferred API for development against Exchange, MAPI has the advantage of history and all the features that have been developed using this API. Entourage, the earlier version of the Mac client for Exchange, used WebDAV as its API and won’t be able to connect to archive mailboxes either. And finally, don’t expect to connect any mobile client to an Exchange 2010 archive mailbox. The problem here isn’t that the mobile device vendors don’t want to do the work to expose archive mailboxes. Rather, it’s that the current release of the ActiveSync protocol doesn’t incorporate support for archive mailboxes. Given the increase in both the number of clients that use ActiveSync and the power of those clients, especially in the tablet space, I hope that Microsoft closes this gap soon. Mind you, as we know from the wildly differing implementations of ActiveSync across Windows Phone, Apple devices, and Android devices, having support in ActiveSync is one thing, seeing the user interface appearing and working in devices is quite another. I have ignored IMAP4 and POP3 clients in this discussion. Let’s face it, in the modern world these are brain-dead clients that do a rudimentary job of processing email. The find people who created the RFCs behind these protocols had no conception of online email archives so the protocols cheerfully function in blissful ignorance that such repositories exist. Such is the nature of progress. This entry was posted in Exchange, Exchange 2010, Office 365, Outlook and tagged ActiveSync, Archive mailboxes, Exchange 2010, Exchange online archive, Office 365, Outlook 2003, Outlook 2007, Outlook 2010, Outlook 2011 for Macintosh. Bookmark the permalink. Providing one or more users with access to the mailbox of a user who is no longer employed by the organization. In this case, users who may be given delegate access include the departed user’s manager or supervisor or another user who will assume the departed user’s responsibilities. Providing executive assistants with access to the mailboxes of the executives they’re assisting. In Exchange 2010 SP1, when you assign Full Access permissions to a mailbox, the delegate to which you assign the permissions can also access the user’s personal archive. Delegates must use Outlook to access the mailbox, and they must connect to an Exchange 2010 SP1 Client Access server for Autodiscover purposes. Autodiscover is an Exchange 2010 service that provides configuration settings to automatically configure Outlook clients. When delegates use Outlook to access an Exchange 2010 SP1 mailbox, both the primary mailbox and the personal archive to which they have access are visible from Outlook. For details about assigning Full Access permissions, see Manage Full Access Permissions. If a user has an archive attached to their mailbox, but is using Office 2010 Home & Business edition, they cannot see the archive, apart from via OWA. If you then grant that user full access to their own mailbox, in addition to the automatically created “NT AUTHORITY\SELF” permission, does this bypass the Outlook restriction and allow access to the archive via Outlook? No, I don’t believe that Outlook 2010 Home and Business edition includes the necessary UI to display the archive. I might be wrong, but this is what I’ve understood for years. See http://office.microsoft.com/en-us/outlook-help/license-requirements-for-personal-archive-and-retention-policies-HA102576659.aspx for the official word. Does this “And finally, don’t expect to connect any mobile client to an Exchange 2010 archive mailbox” still hold true? Yes. I don’t know of any mobile client that connects to an Exchange 2010 (or 2013) archive mailbox. ActiveSync doesn’t support this feature (yet).